Make A Solar Powered Reverse Trike #SolarPower « Adafruit Industries – Makers, hackers, artists, designers and engineers! Designed and built in just 18 days at the University of Engineering and Technology Lahore in Pakistan, 7 x 3.5 x 4.5 ft (2.13 x 1.06 x 1.37 meter), 132 pound (60 kg) low-rider features a custom built, t-shaped aluminum framework at the front of the vehicle, and the back part of an old bicycle frame at the rear, joined just behind the seating area to shock absorbers. The reverse three-wheeler – with two wheels at the front and one at the rear – also has a 40 watt photovoltaic canopy above the rider that charges the onboard 12v/80Ah dry cell solar battery. 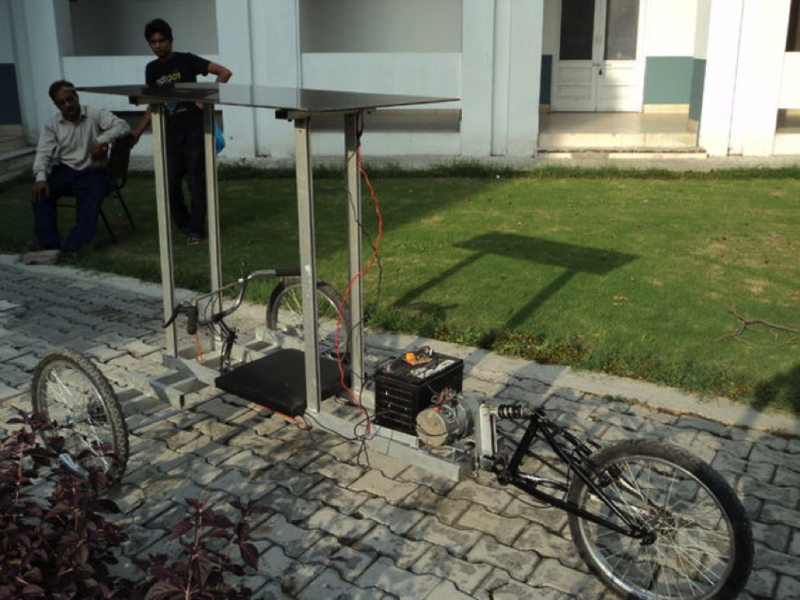 An eco-friendly vehicle that uses solar energy as its source of input. A solar panel is used to charge the battery and the battery drives the dc motor. Its a vehicle that uses reverse trike configuration, i-e two front wheels and a single wheel on the rear side. Steering is done with the help of front wheels. It also consists of a solar panel, Battery and a dc motor. This was cool, but in the instructables comment section, somebody askes the designers for the motor spect sand design. The maker states that it is “confidential” and he has already provided all info needed for making one of these. Everybody keeps asking how he runs a 24v motor on a 12v battery. A question he clearly ignores. Why bother making an instructable without full disclosure? Just wondering.